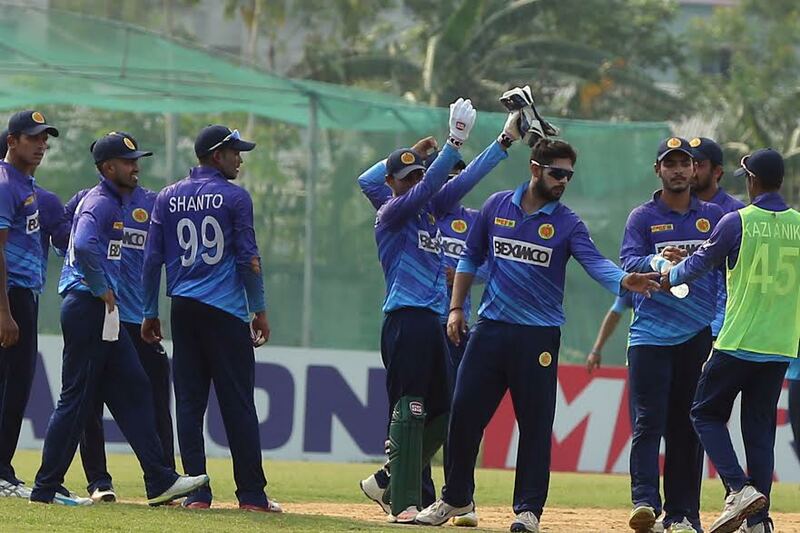 Shinepukur Cricket Club broke the winning streak of Prime Bank Cricket Club in the round 8 of Walton Dhaka Premier Division League 2018-19. Gazi Group Cricketers won against Uttara Sporting Club while Mohammedan Sporting Club have awarded the match against Brothers Union after they refused to bat in a rain-affected encounter at Bangladesh Krira Shikkha Protisthan, Ground-4. 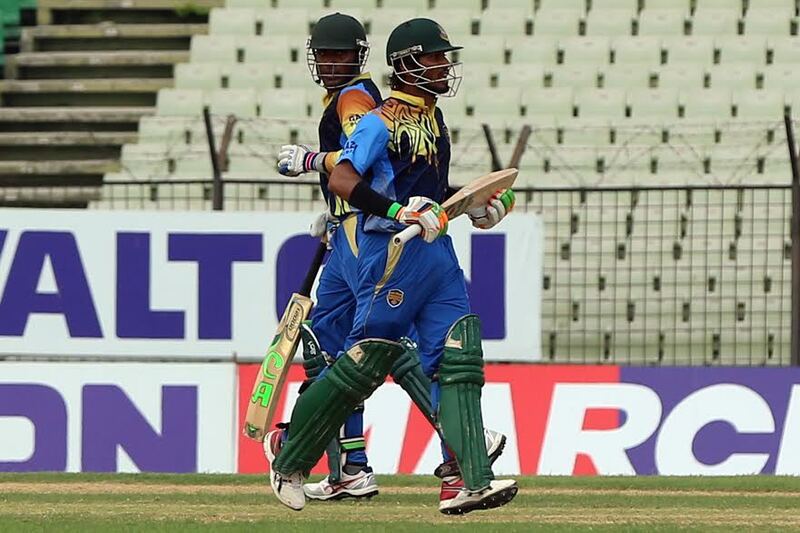 Batting first, Gazi Group posted a total of 235 for 9 in 50 overs thanks to Shamsur Rahman’s fifty. After a rain washout, Uttara were set for a reverse target of 181 to win in 33 overs. 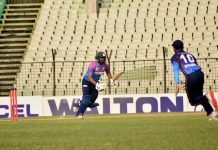 Uttara were eventually all out for 131 in 31 overs and lost the match by 49 runs. Sanjit Saha led the wicket tally with 4 wickets for 20 for Gazi Group. At Khan Shaheb Osman Ali Stadium, Shinepukur Cricket Club set a target of 246 for Prime Bank as Towhid and Shadman struck fifties. 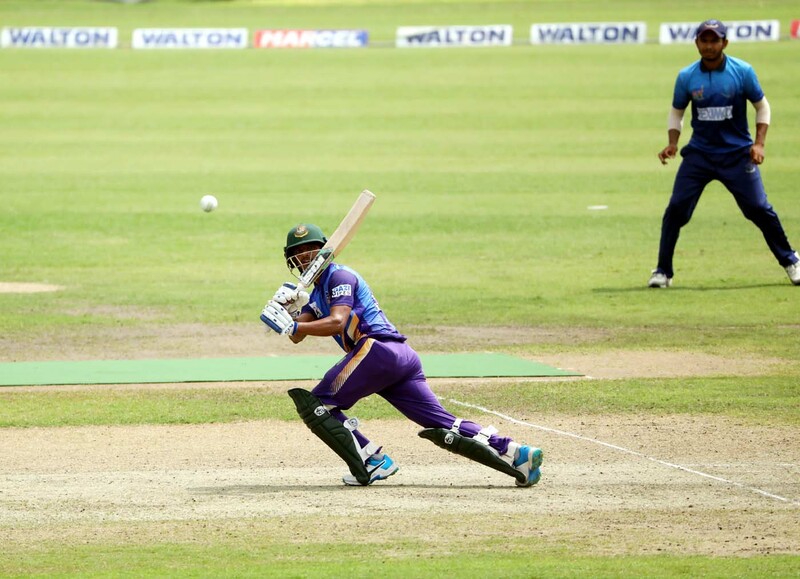 Following a rain washout, Prime Bank were set for a new target of 149 in 28 overs. Shinepukur bowlers displayed a disciplined show as they restricted Prime Bank for 100 for 9 in 28 overs to seal a 48-run victory. Delwar calimed 3 wickets for 16 for Shinepukur. On the other match of the day, Mohammedan were awarded the match after Brothers Unions refused to bat in the second innings. Earlier Mohammedan posted 316 for 9 in 50 overs. Result : Gazi Group Cricketers won by 49 runs (D/L method). Result : Shinepukur Cricket Club won by 48 runs (D/L method). Brothers Union refused to bat. Result : Mohammedan Sporting Club awarded the match.